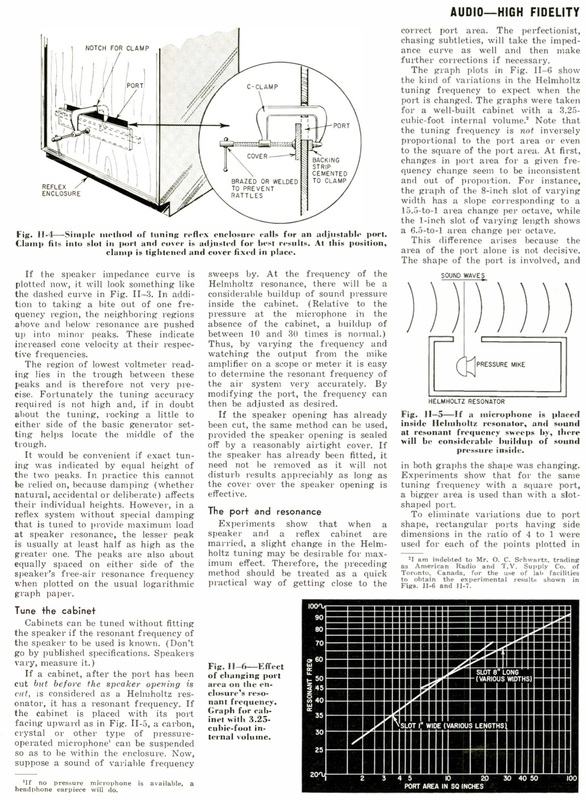 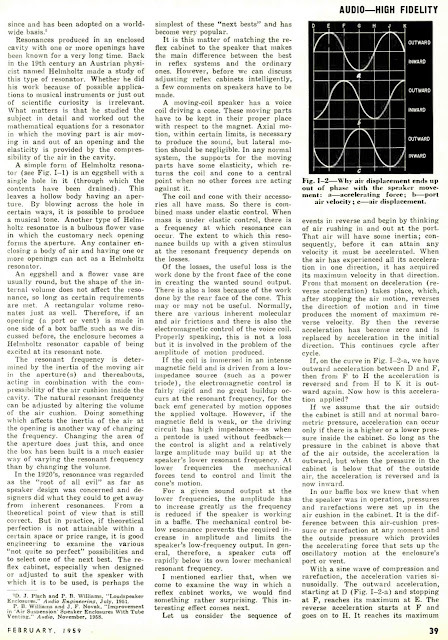 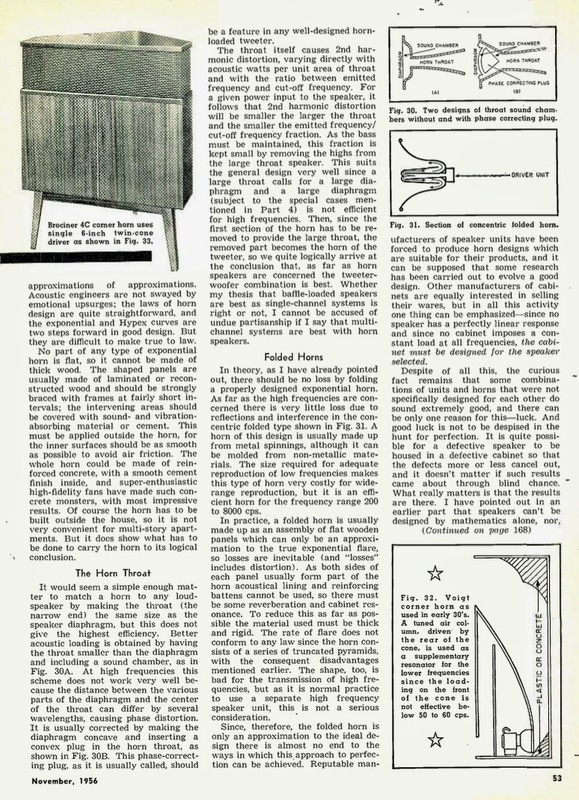 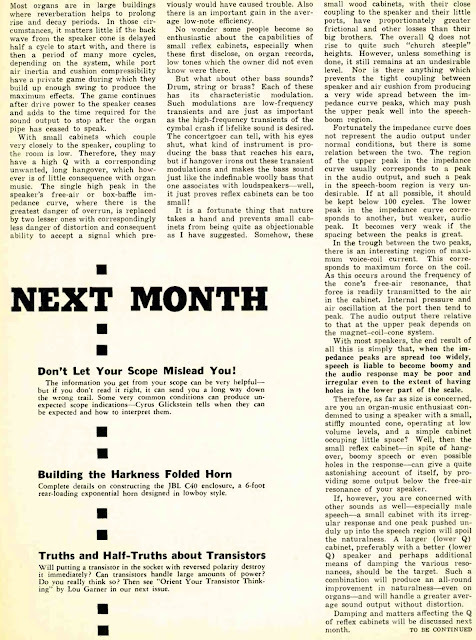 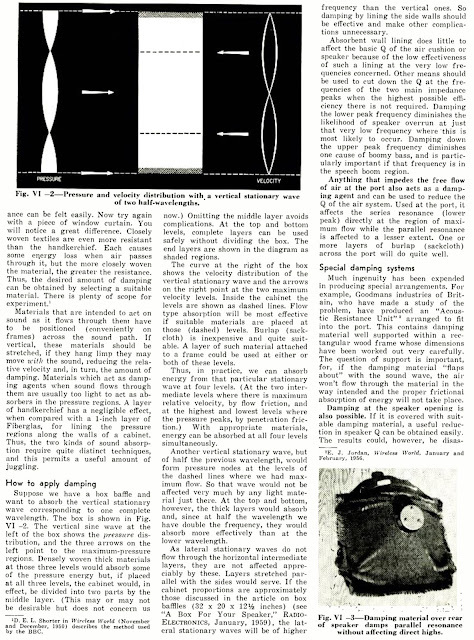 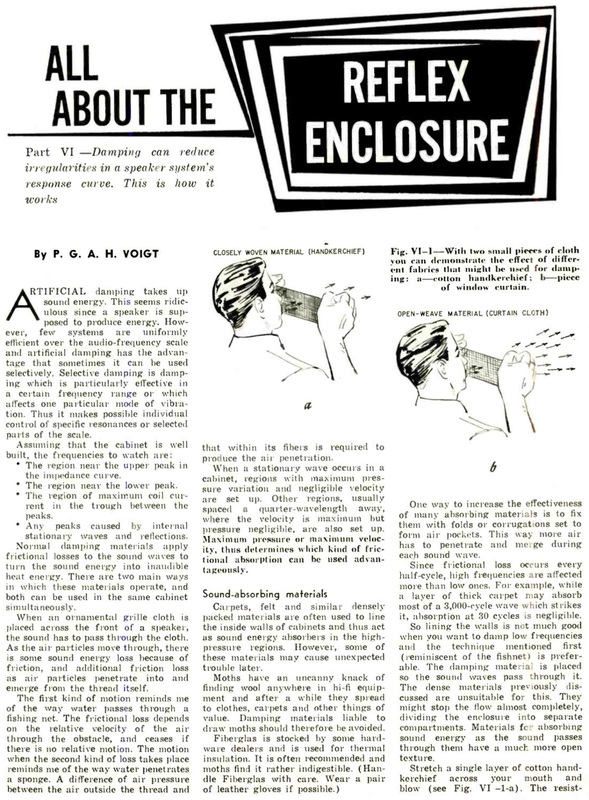 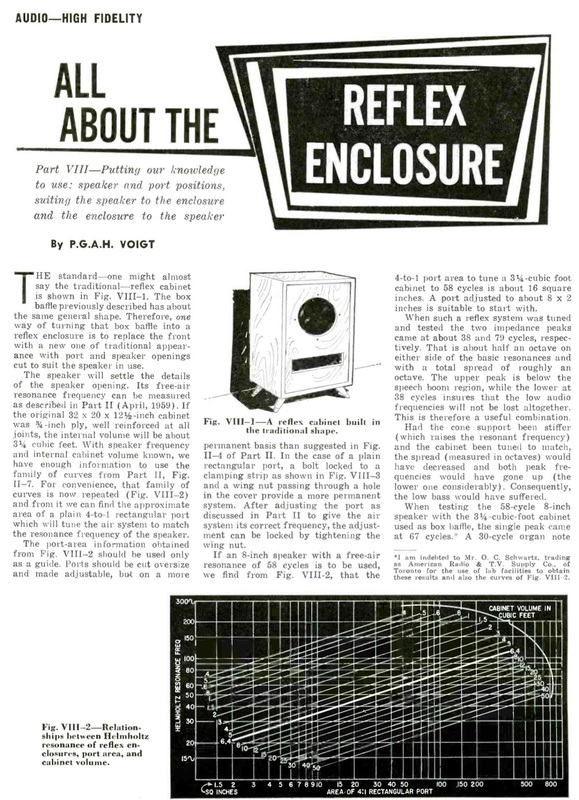 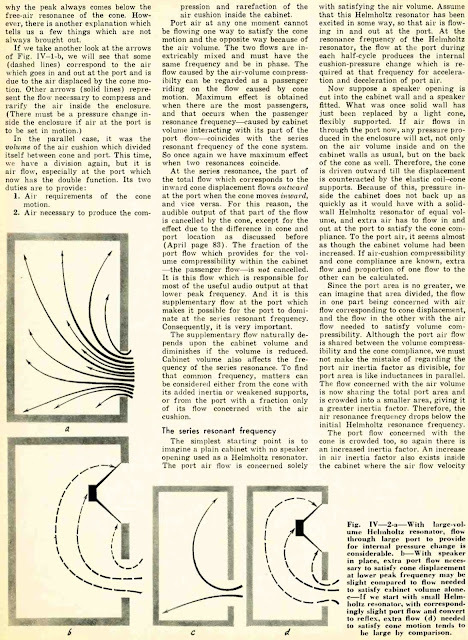 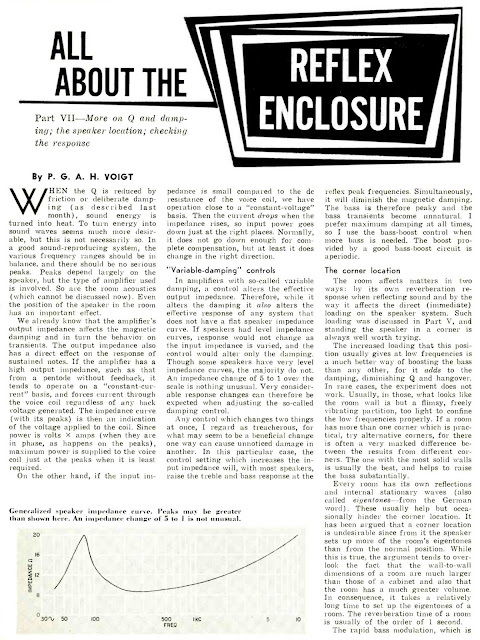 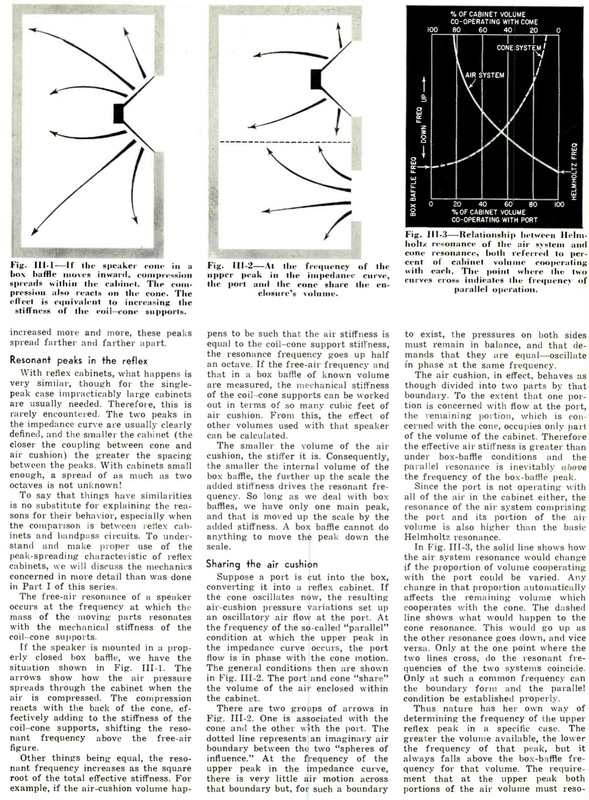 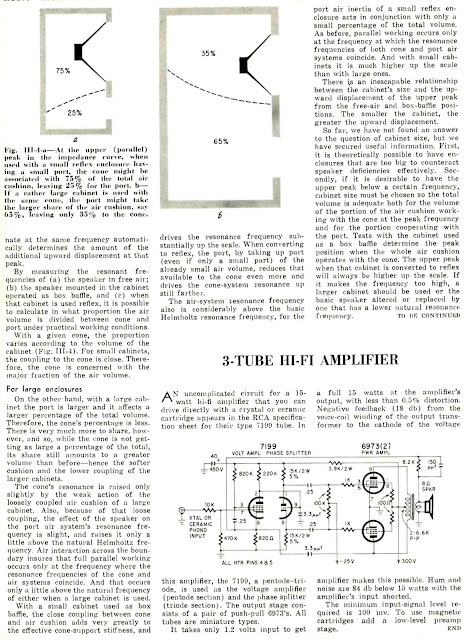 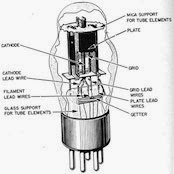 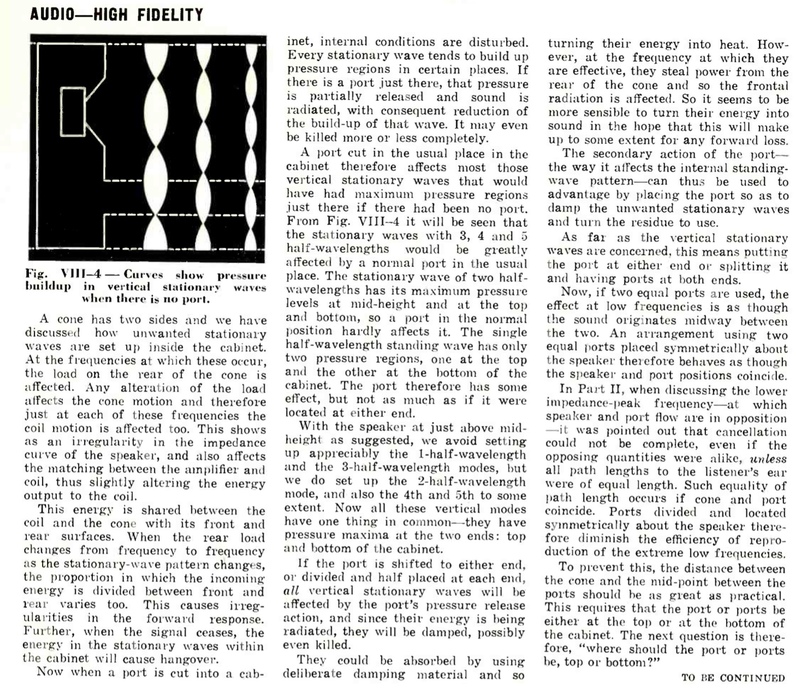 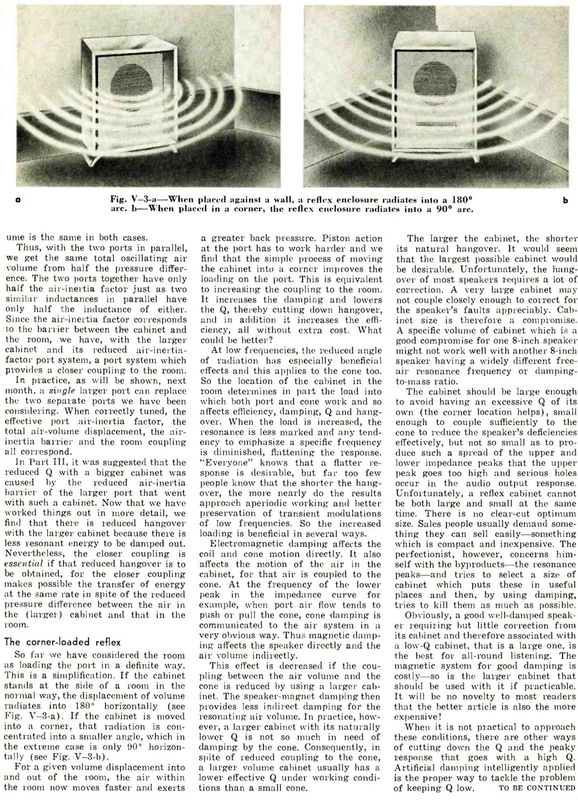 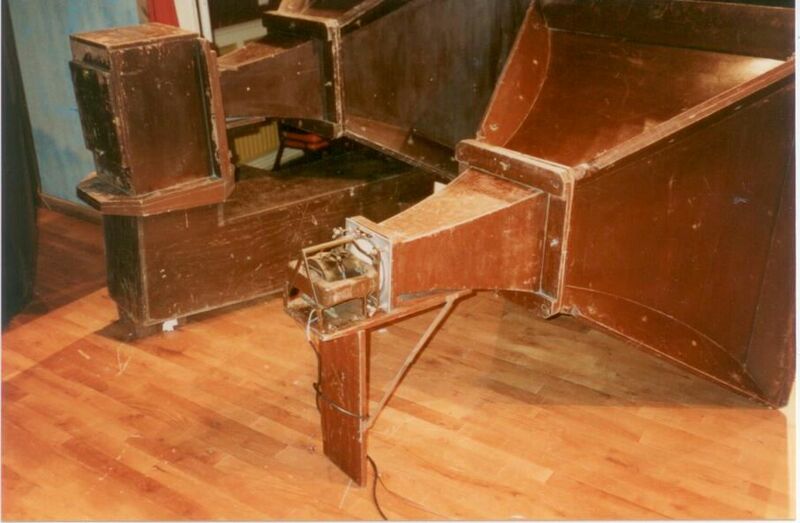 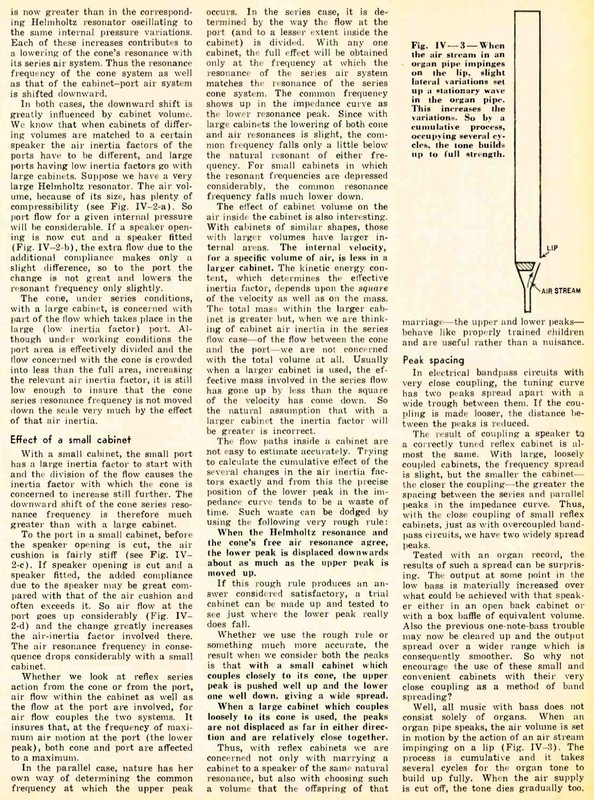 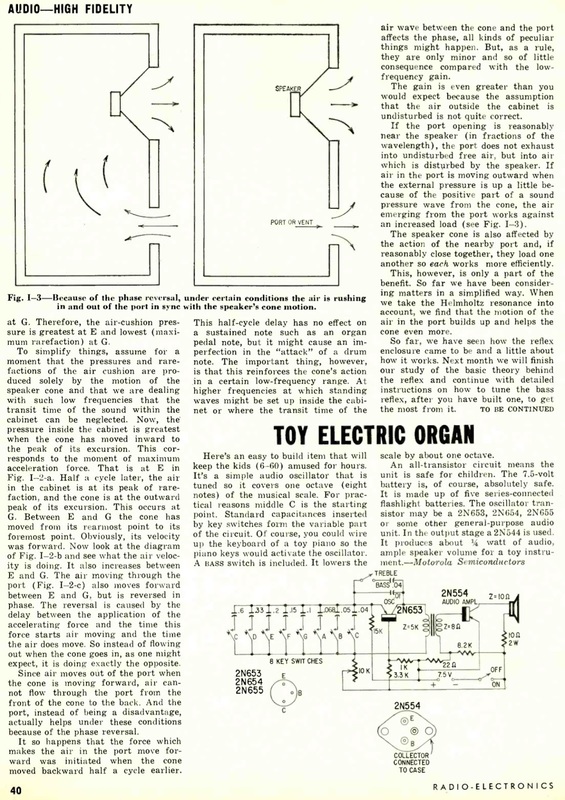 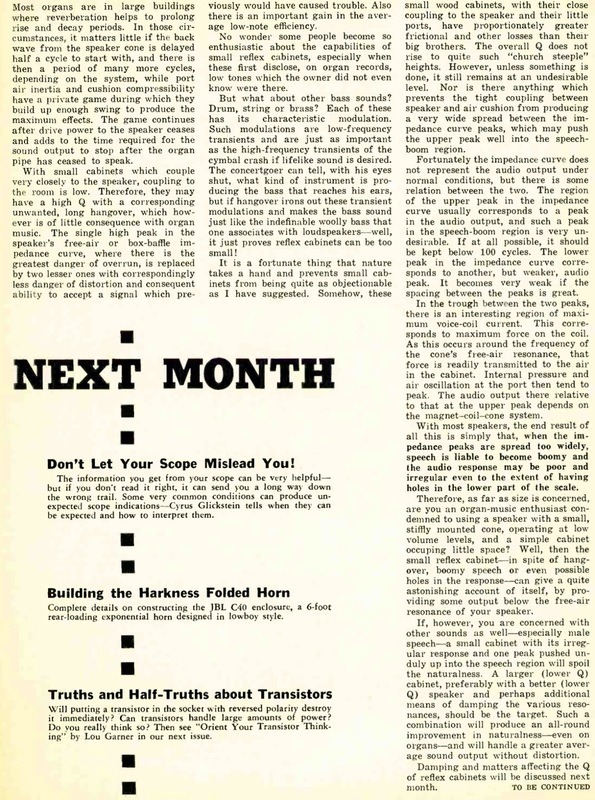 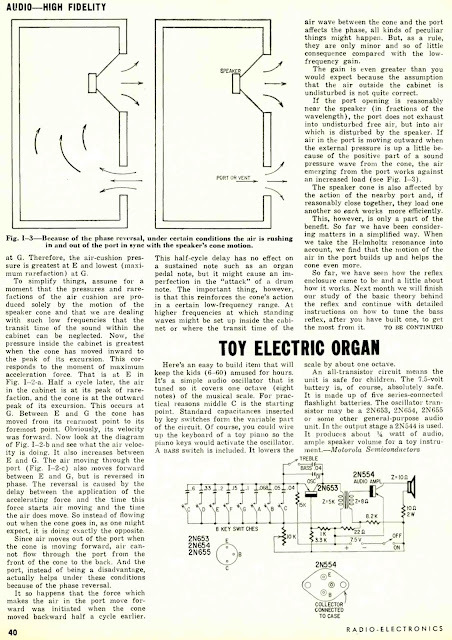 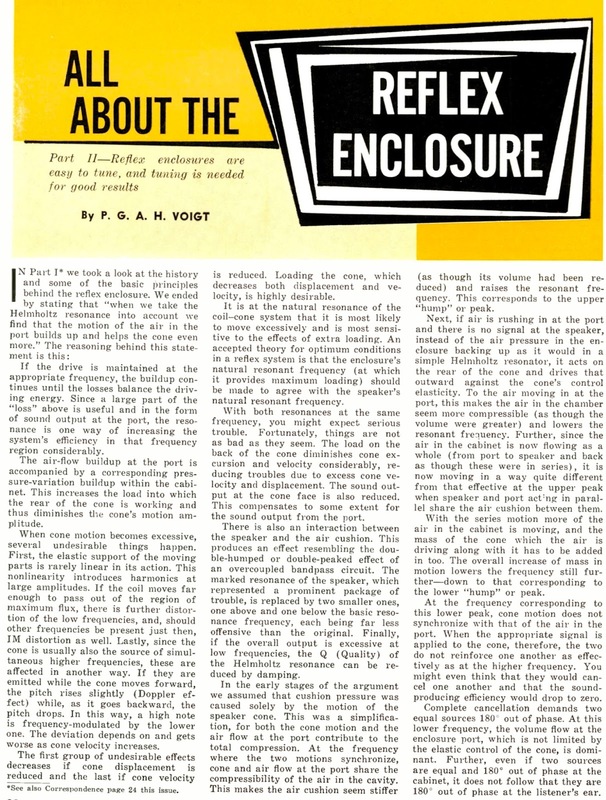 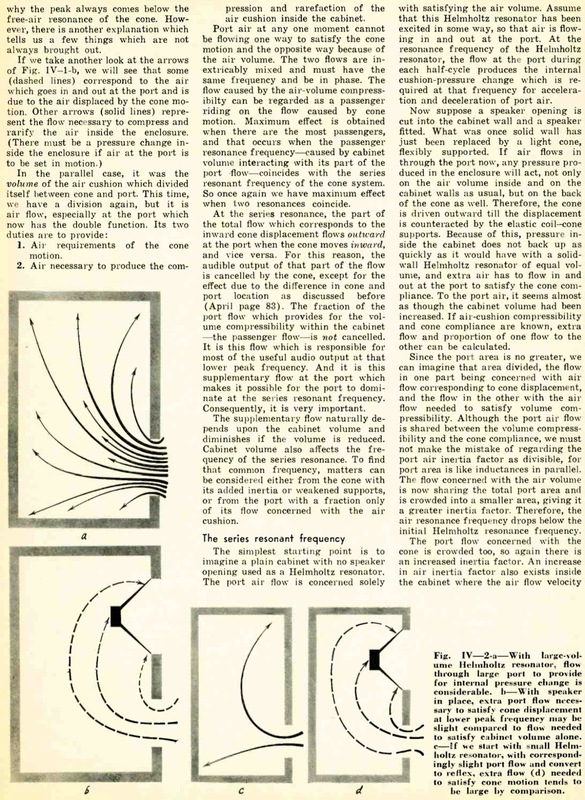 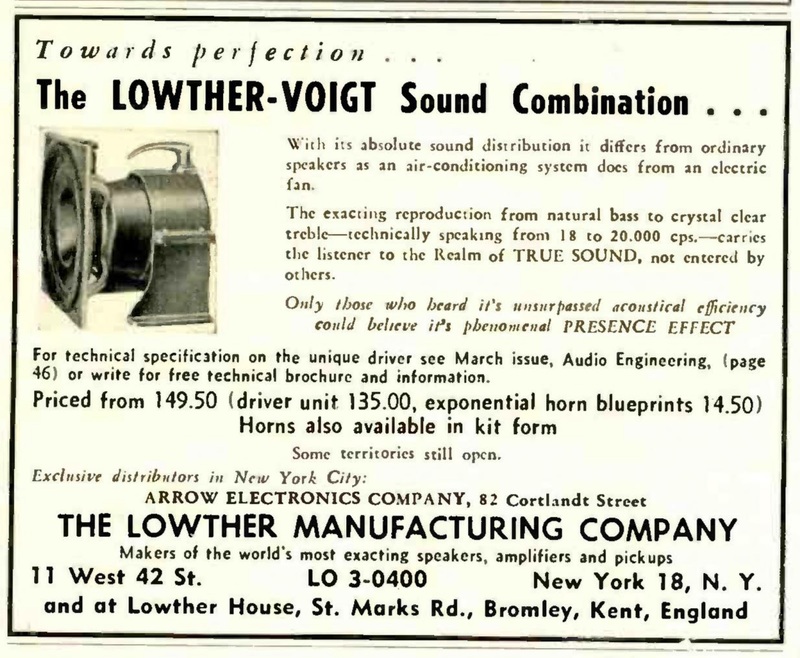 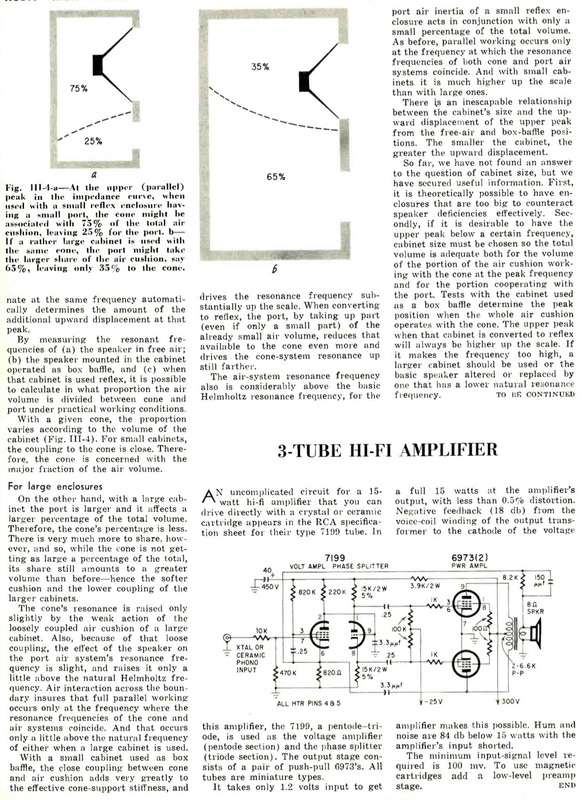 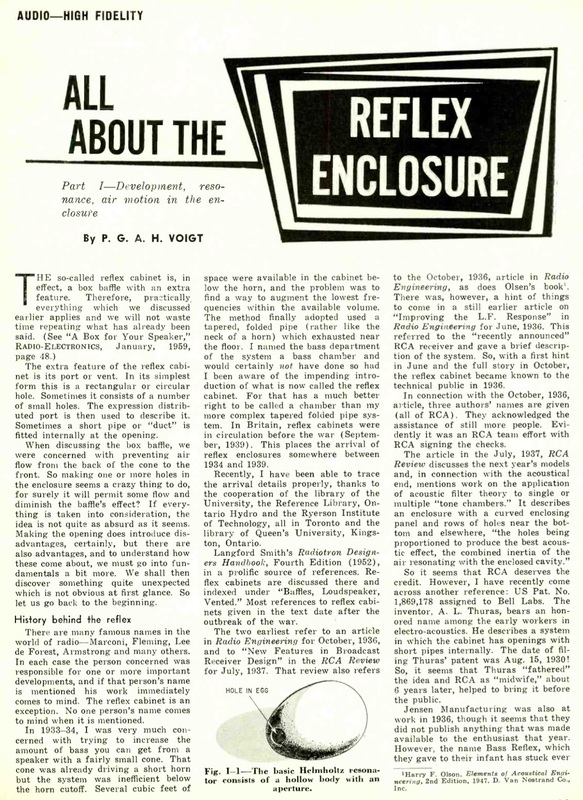 1950's article by Voigt while he is known for his work in speakers he did even more work in pickups and tonearm design. 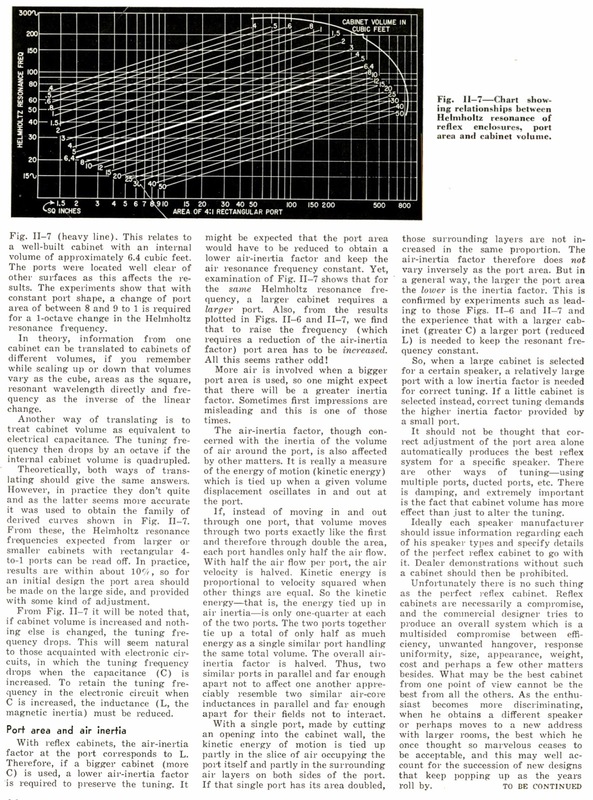 How cool is that a series of articles by Voigt that span a year. 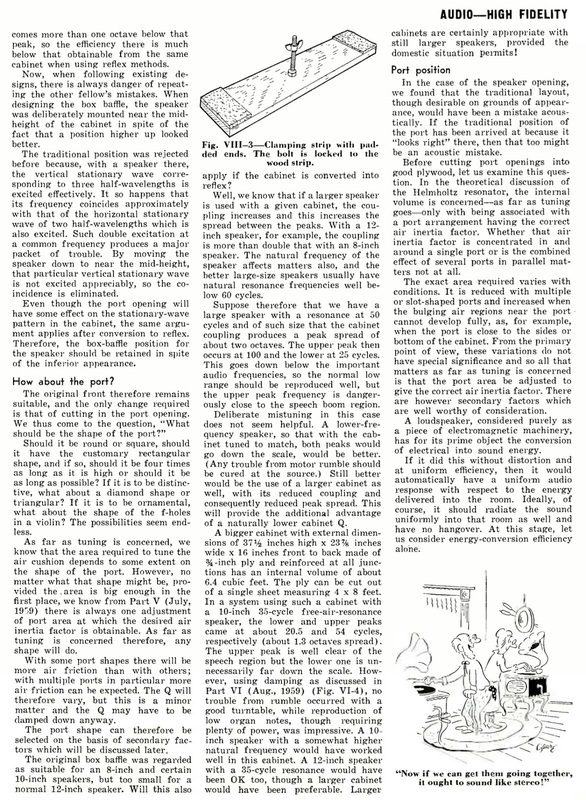 I'll try to find more articles by Voigt as he is one of the good guys. This is part 8 of a series by the legendary Voigt. 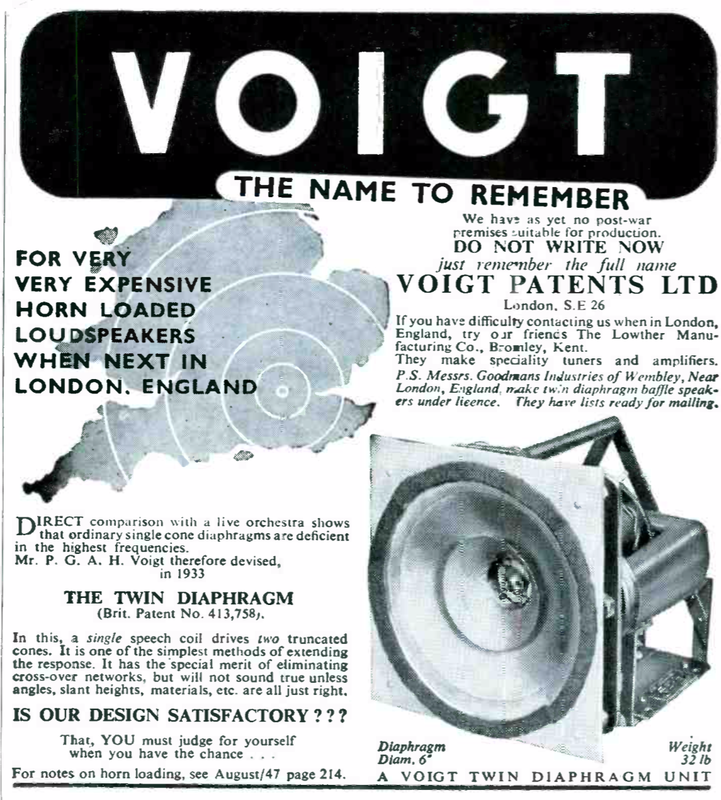 This is part 7 of a series by the legendary Voigt. 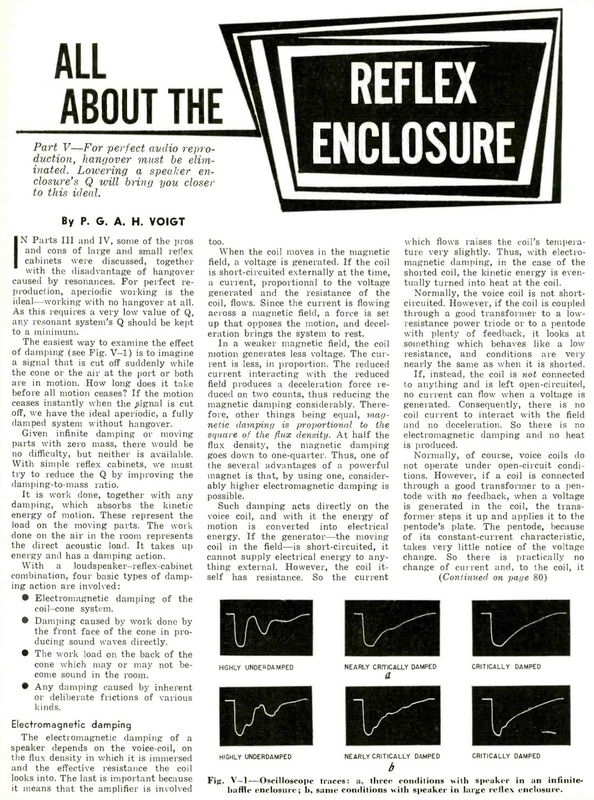 This is part 6 of a series by the legendary Voigt. This is part 5 of a series by the legendary Voigt. This is part 4 of a series by the legendary Voigt. 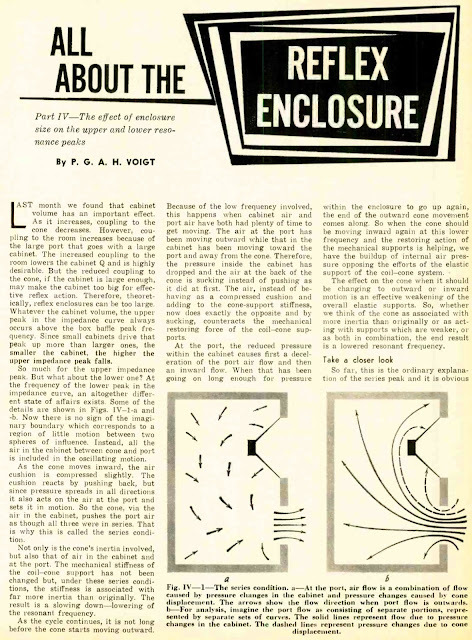 This is part 3 of a series by the legendary Voigt. 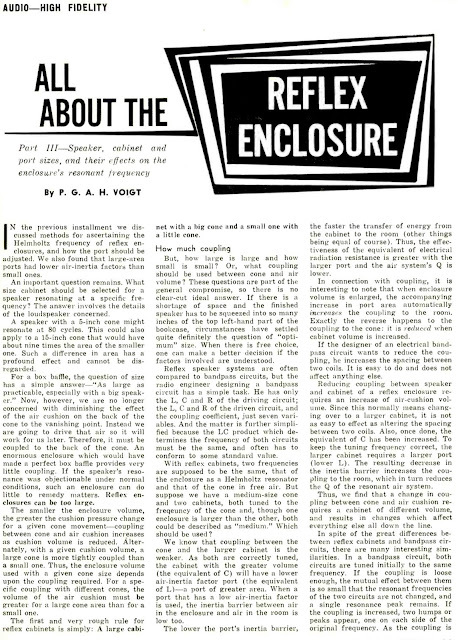 This is part 2 of a series by the legendary Voigt. This is part 1 of a series by Voigt. 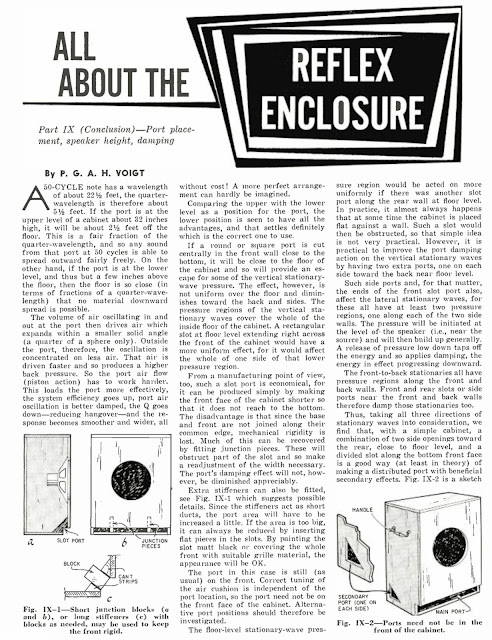 Part 1 development, air resonance, air motion in the enclosure. 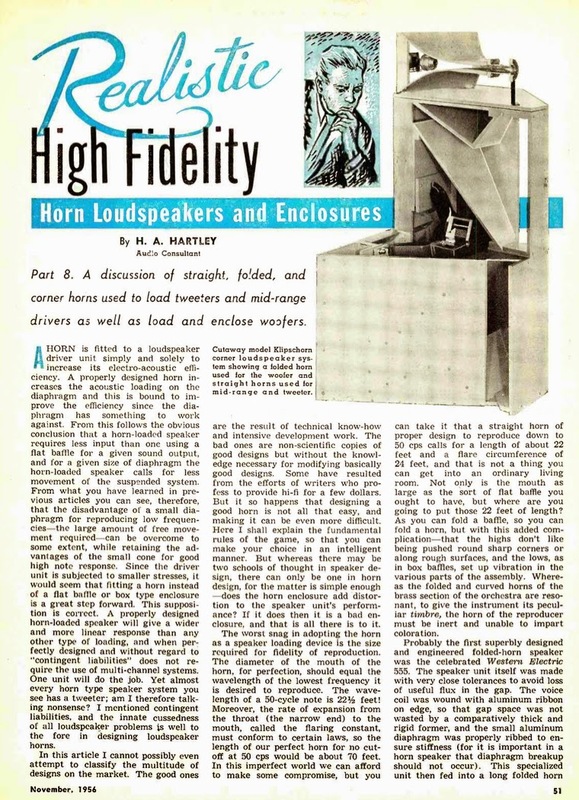 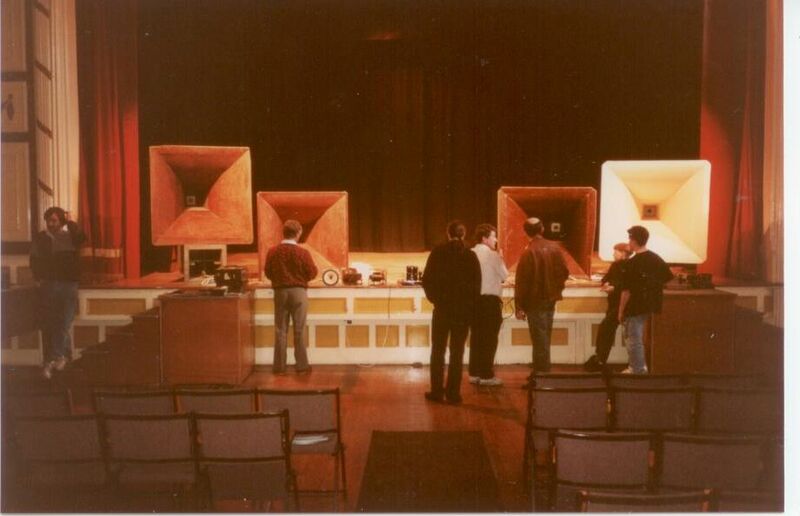 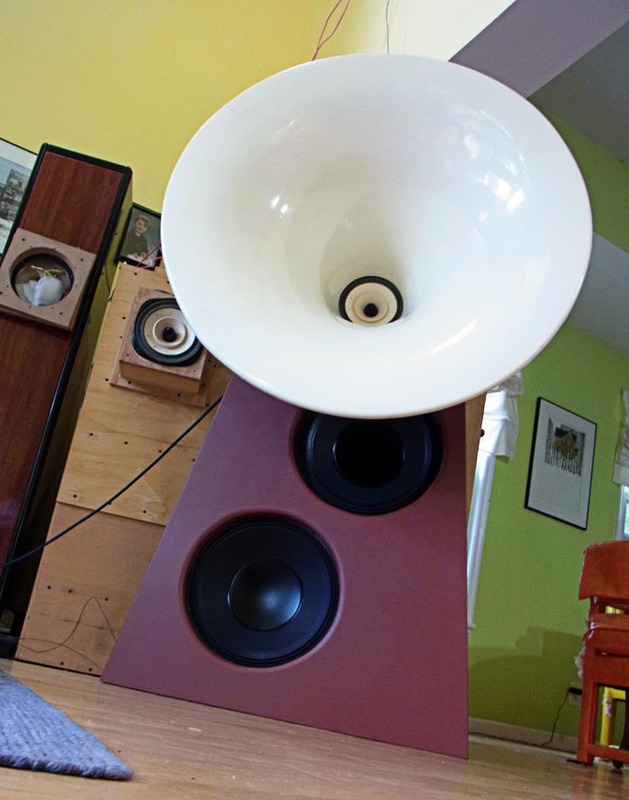 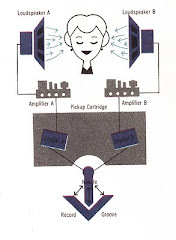 Here is a classic article written by Hartley of Hartley audio store. 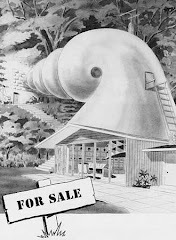 This has to be the best out of the series and if I find the other 7 I will post them. This article was released on the heels of Bruce Edgars Voigt article and PWK interview. 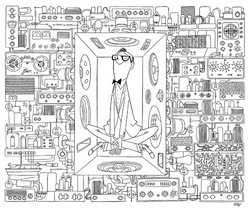 I have great appreciation for Bruce Edgars early work. 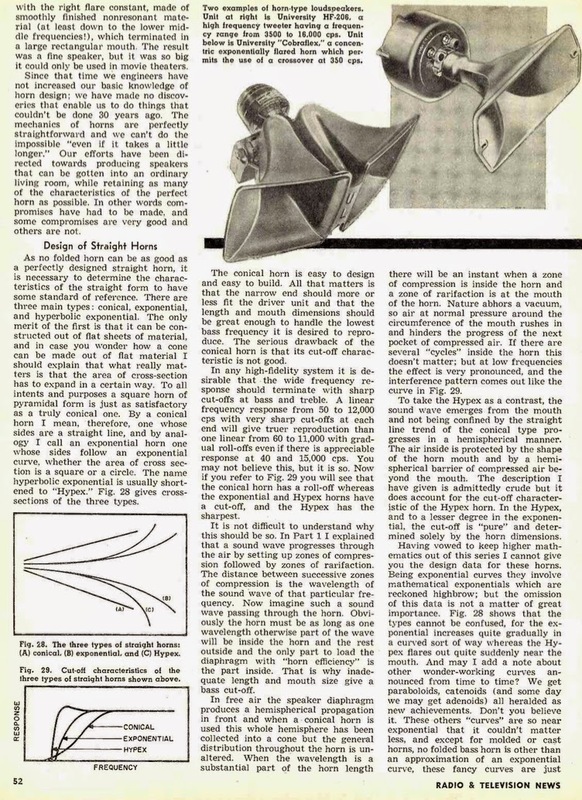 This article by Brian Taylor is rather recent for what I usually post. 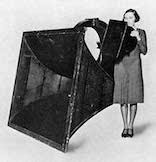 I really like the unfolded Klipschorn pic. 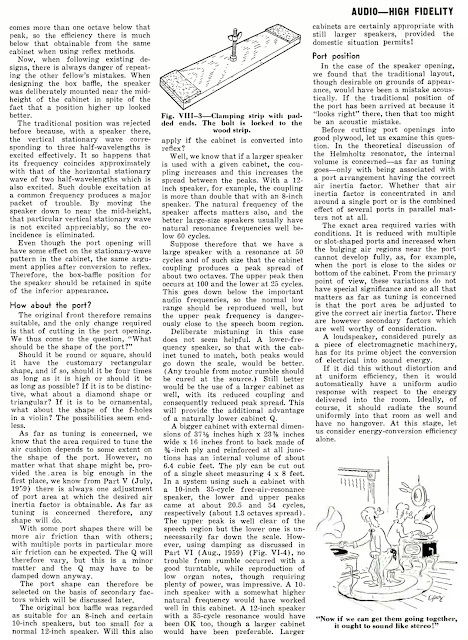 Amazing that this was folded into something so small as the Klipschorn bass bin.